Magali Fassiotto’s expertise focuses on organizational culture and processes, data analysis, and evaluation. Her research has examined how firms develop strategies to attract and retain employees, consumers, and investors. 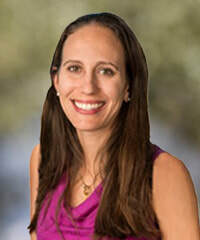 She is currently the Research and Program Officer in the Office of Diversity and Leadership at Stanford School of Medicine where she designs, implements, and evaluates programs that foster leadership skills in all faculty, with a specific focus on increasing the recruitment and retention of a diverse faculty. Previously, Magali was an analyst with the National Bureau of Economic Research, where she conducted investigations of the impact of government programs on employment, education, and health outcomes of diverse populations. Magali also worked as an Associate Consultant at Investor Group Services, a division of Ernst and Young, conducting primary and secondary market research to provide due diligence on employee and consumer market conditions to private equity clients. Magali believes that the best strategies to bolster workforce and team effectiveness, innovation, and organizational success are data-driven. She balances her extensive experience in organizational evaluation and strategic thinking with a focus on creativity and an understanding that organizational solutions are never one-size-fits-all. Magali received her undergraduate degree in Economics from Harvard College and her PhD in Organizational Behavior from Stanford Graduate School of Business. She was born and raised in Honolulu, Hawaii, and currently lives in foggy San Francisco with her husband.